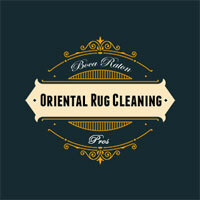 Boca Raton Oriental Rug Cleaning Pros are Oriental rug cleaning experts serving our clients with Oriental rugs, Persian rugs and other delicate fabric rugs. Many cleaning companies out there promise to clean your rugs safely and thoroughly regardless of the rug's type, country of origin or the materials used. In reality, only cleaners who specialize in cleaning Oriental and other high-value rugs can provide the appropriate care and treatment. 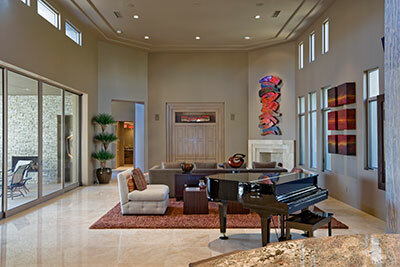 No two rugs are the same, and this stands most true when it comes to antique and/or Oriental rugs. Why? Because the majority of these rugs were handmade by experts in their native countries, and as such, carry with them an intricate design that can rarely be called similar to another. 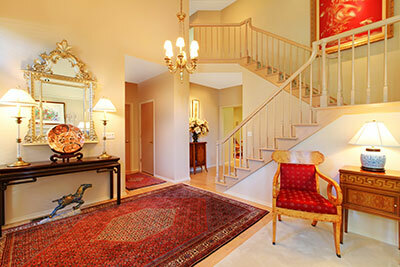 Some of our most frequent cleaning jobs involve Oriental hand-knotted rugs – generally Chinese, Indian or Persian. Some of our customers even have tribal rugs that can truly be called priceless, and are extremely wary of cleaning them with the wrong methods, and rightly so. Cleaning the unmistakeable flokati rug, which comes from the far away mountains of Greece, is yet another one of our specialties. Since we clean all antique and Oriental rugs, we also take care of rugs that weren't handmade but were instead tufted or even made with machines, usually those with a cotton back. While these rugs don't take nearly as much time to create as those made by hand, don't be mistaken thinking that they're easy to manufacture – some imported tufted styles that we clean are among the most beautiful rugs out there. Wilton, Axminster and Karastan are examples of high-quality rug manufacturers whose rugs we clean regularly. Other tufted rugs we work with include those made with fine Belgian wool as well as the spectacular Turkish Kilim designs. One could say the amount of work that goes into creating a handmade Oriental rug makes every piece worth careful hand washing – at least, we like to think so. Yes, machine cleaning is a lot quicker and involves much less hassle, but we're not here to rush things – our job is to clean your expensive rug using methods tailor-made to guarantee its preservation. How old is the rug As a rug ages, its fabrics grow brittle and prone to losing some of their texture. What is the state of the dyes? We like to ascertain whether it's a case of colored fabrics being used in the knotting and weaving processes or dyes being added post-weaving. We also like to perform checks throughout the rug in order to ascertain the state of each dye. More specifically, this technique tells us if there is a chance of them coming off during the cleaning process. To know where your Oriental rug comes from, we'll have to have a look ourselves. Today, most Oriental rugs we work with come from China, be they tufted or entirely handmade. Depending on their age and origin, handmade Chinese rugs can carry the weight of an entire region or even a dynasty in their design. This makes proper handling imperative – we consider these Oriental rugs historical items of great value, and we treat them as such. Even in the absence of a close examination, we can tell you that your Oriental rug will require a slow and meticulous hand-washing process. We're very picky about anything other than water coming into contact with the rugs as we clean it. In fact, we're even picky about the amount of water used – some Oriental rugs will respond best to submersion while others will need a slow manual cleaning with minimized moisture. It's said that weavers of Oriental rugs place entire generations in the rug's appearance – after having worked with so many of these rugs, we're inclined to agree. Therefore, when turning to us for your Oriental rug cleaning needs, you'll know that no part of your cultural masterpiece will get lost to history due to poor handling. While Chinese rugs are most commonly referred to as Oriental, there are many other Eastern countries in this category (like India), each with their own method of weaving and specific local materials used. When most people think of antiques, three main properties immediately spring to mind: expensive, delicate and unique. There's certainly no fault in this way of thinking – every antique rug we've worked with had all three of these attributes along with several others, all combining to form a piece with no equal. 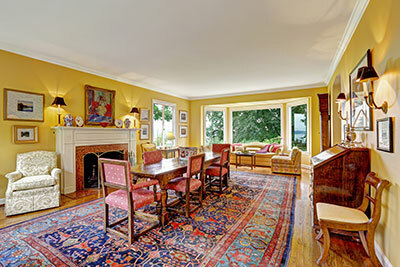 More than mere decorations, antique rugs are parts of history. They carry the bearings of a certain time long gone, be it a good or a bad one. The struggles of erstwhile people are found throughout the rug's design, as are various rare motifs and colors. A trained eye will always be able to look at an Oriental rug and discern where it's coming from and how it was made. We take this a step further: each antique rug's individual state is of utmost importance to us as we gear towards the cleaning process. Interestingly enough, a thousand year-old rug could be in a much better state than one that has been around for 'mere' centuries. Age tells us a lot, but it's just the beginning – the individual factors to consider are too numerous to list, and every one of them could completely alter our initial idea on how to best treat the rug. 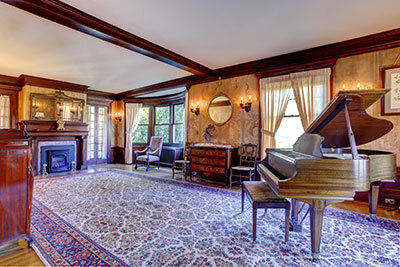 While we go to great lengths to clean any rug that comes our way, we know that our work is cut out for us the moment we are asked to clean an antique rug. Here, we become more than cleaners: we become preservers of historical value. 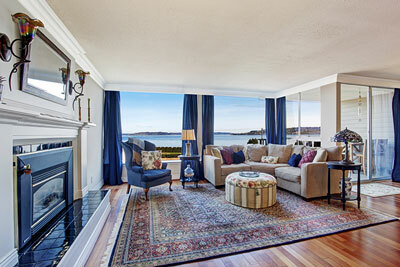 We enjoy the added responsibility, and we will always justify the faith that the antique rug's owner has placed in us. More than any other rug, Persian rugs are thought to have mystical properties. The flying rugs of legend come from no other place than Persia, but the myth of their flying ability isn't the only thing that makes them legendary – it's the unique and intricate design of the rug, always heavily based on the specific age in which the rug was made, as well as the superb crafting quality. While your Persian rug might not help you save any money on plane tickets, it will add charm and beauty to your home or office like very few decorative items can. Because many of these rugs are large, their owners will sometimes choose to use them as floor covering in traffic areas, even in cases of antiques or expensive pieces. 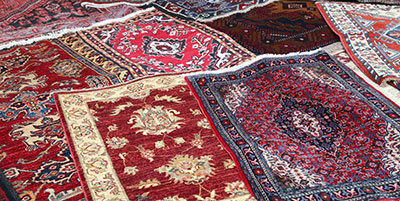 It's easy to see how this makes Persian rugs especially susceptible to stains, dirt accumulation and wear-and-tear. Cleaning large Persian rugs often makes for some of our more difficult jobs, but also ones we're fully equipped to handle. More than just keeping the fabric intact, we'll keep the multitude of lively colors true even when forced to thoroughly rinse the rug. Don't worry about your Persian rug losing value during the cleaning process – by keeping the fabric in its original state, we'll ensure that the rug's dynasty lives on and reaches future generations. Even in the face of ever-increasing industrialization, many natural materials remain impossible to replace, both for aesthetic and functional purposes. Silk is certainly among those that first come to mind: its deluxe texture is nearly impossible to mistake, which is why it's long-been considered the most luxurious fabric to own. While some opt to show their love for the good life through silk suits or gowns, others turn to silk rugs to showcase their eye for style. You'll be hard-pressed to find a silk rug owner that lets people walk over his prized possession – they're used as a status symbol that enriches one's home and gives it that 'next level' appearance. Because the material fetches an extremely high price, many owners will go as far as to refuse cleaning it for fear of doing something wrong, or simply to avoid subjecting the rug to any wear-and-tear. Believe it or not, silk is actually quite durable and has amazing tensile strength, not being nearly as frail as most people think. The reason people – even professional cleaners – fear silk rug cleaning is loss of design. Silk has a hard time maintaining its colors in the face of heavy rinsing, which is why you should let Boca Raton Oriental Rug Cleaning Pros handle your regular silk rug maintenance. With us, you'll accomplish the what seemed impossible thus far: keeping your silk rugs perfectly clean while avoiding any loss of appearance whatsoever. To us, proper handling of the finest and most delicate materials is just another day's work. To those unfamiliar with rug materials, it can seem a bit strange that wool maintains its popularity in present day. The material is notoriously hard to obtain and therefore expensive, requiring year-round care for free-range sheep. To yield top-notch wool, the sheep need to be treated well and must enjoy good physical and mental health, which is why wool farming is a full-time job. How is it, then, that wool is so ubiquitous, when seemingly-infinite other materials are easier to cultivate? The answer is simple: there are very few materials of equal quality, durability and longevity, especially when discussing rug manufacturing. Wool rugs are known for their durability since they keep liquid on the surface, and they're also flame-resistant to boot. This often makes owners neglect their cleaning duties, turning a blind eye to the deteriorating state of the wool rug, despite paying a high price for it. We don't give too much thought to the famed durability of wool rugs – we treat the fabric as if it's frail and antique. Gentle does the trick and guarantees that the rug will turn out just as soft and comfortable as it was when you first bought it. We'll also help remove those difficult stains from your pristine white or white-gray wool rug, making it inviting for your housemates and visitors once again.